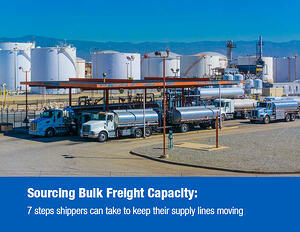 Demand for tanker trucks continues to increase, while the capacity to meet that demand only seems to decrease. This creates a dangerous imbalance that threatens the supply lines of chemical companies and other bulk shippers. This imbalance has also created a very different industry dynamic in which the hunters (carriers pursuing freight) are now the hunted (carriers being pursued for scarce capacity). This paper offers 7 tips for bulk shippers that must adapt to this new dynamic and make their freight more attractive to carriers in order to keep supply lines moving.